Singapore, 8 April 2016 – The International Furniture Fair Singapore 2016 / 33rd ASEAN Furniture Show (IFFS/AFS), along with co-located events The Décor Show and furniPRO Asia, were held from 10 – 13 March 2016. 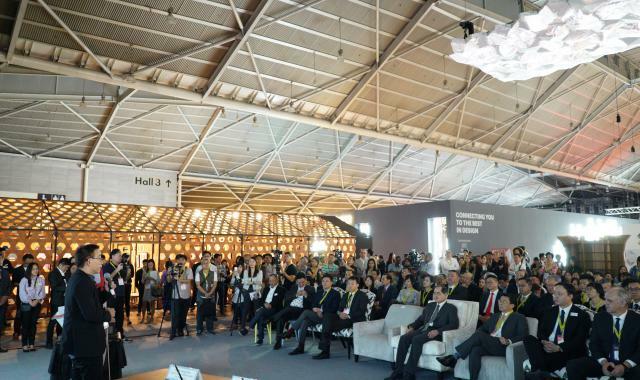 The event offered industry professionals six halls and inspiring collections put up by 423 exhibiting companies from 29 countries. This year, IFFS attracted 20,343 unique visitors from 92 countries and welcomed a total of 87 buying delegations. Organisers observed a good mix of retailers, importers/exporters, distributors/agents, contract specifiers, e-commerce retailers, and hospitality consultancy services at this edition, with a 8% increase in overall attendance. International Furniture Fair Singapore Pte Ltd (IFFS Pte Ltd) is partly owned by the Singapore Furniture Industries Council (SFIC) and MP International Pte Ltd.
IFFS Pte Ltd’s primary objectives are to organize and manage furniture and furniture-related fairs, exhibitions, shows, conferences and other events worldwide. This includes the annual International Furniture Fair Singapore/ASEAN Furniture Show (IFFS/AFS) and The Décor Show, a keynote event on the furniture trade exhibition calendar.